Synthesis has been a mainstay in music production since the 1960s; instruments manufactured by Moog and Synclavier became common names, even though the terms and technologies were not always fully understood. Since then, synthesizers have introduced new sounds and production styles that transformed how we think of audio manipulation. Various forms of audio synthesis have since been introduced, each with its advantages and limitations. Organic ReSynthesis, which is the driving force behind several new Waves processors, goes beyond other forms of synthesis by combining several sound analysis and manipulation techniques to break any sound, any audio signal, into several core elements, each of which can then be controlled independently. All methods of synthesis rely on manipulating these characteristics. But to understand what makes Organic ReSynthesis unique, let’s first see how the most common synthesis method, subtractive synthesis, treats those four core elements, and then how Organic ReSynthesis does it. Subtractive synthesis begins with a harmonically rich waveform generated by an oscillator. Filters are then used to selectively remove some of the oscillator’s frequencies, which in turn changes the timbre of the oscillated signal. Oscillator(s): The initial signal generator, most commonly generating a harmonically rich waveform such as a saw or square wave. The oscillator section determines both the pitch and the basic timbre of the sound. Filter(s): The filter section removes specified frequencies from the original oscillator signal. Various types of filters can be used to remove either low, high or specific frequencies, each filter type providing different ‘sculpting’ tools to control the final timbre of the sound. The filter is usually modulated by an envelope generator that determines the filter’s cutoff frequency and its changes over time. Amplifier(s): An amplifier is used to control the amplitude of the final sound. Similar to the filter, the amplifier is also controlled by an envelope generator, but instead of controlling specific frequencies, the envelope determines the changes of amplitude over time. Due to the way subtractive synthesis works, it is used primarily to create and design new sounds, but it is very limited in terms of manipulating an existing sound, or capturing specific characteristics of one sound and applying them to another. This is why Waves has developed Organic ReSynthesis. Unlike subtractive synthesis, Organic ReSynthesis technology strips a pre-existing audio signal to its core characteristics, the aforementioned carrier, pitch, formant and envelope. Organic ReSynthesis allows you to manipulate each of these four characteristics individually, that is, independently of the others, and then reconstruct the sound accordingly. This means that Organic ReSynthesis is fully modular: you can change only one aspect of a signal, such as its formant, without changing other aspects, such as the pitch. This is where Organic ReSynthesis diverges from other forms of synthesis such as subtractive synthesis or sample-based synthesis. The pitch-, formant- and time-changing algorithms used, for example, in subtractive synthesis are time-dependent. Organic ReSynthesis algorithms are not time-dependent: manipulating one characteristic will not affect the time constants of the others. This maintains clarity and precision of transients and significantly lowers the likelihood of artifacts being introduced. Using a sound’s core characteristics as modulators: A signal’s core characteristics of pitch, formant and/or envelope can serve as modulators to the carrier of the original sound. This will let you, for example, apply formant modulation of a signal to its own amplitude envelope. When the signal is resynthesized, the original carrier is unaffected; only the filters of the other characteristics are changed. Artifacts are thus kept to an inaudible minimum. Using one sound’s core characteristics to modulate another sound: You can also take two tracks and apply, for example, one track’s amplitude envelope to the second track. The second track will undergo the exact same amplitude changes as the first track. This differs from compressor-based amplitude tracking, which cannot demonstrate such accuracy. We call this process of resynthesis ‘organic,’ because it uses the inherent core characteristics of a real, actual signal, manipulates them, and then recombines them, retaining all of the original signal’s other natural characteristics. You can change almost any signal to behave exactly as you wish, yet still have it sound ‘organic.’ The combination and interactivity of all of these elements are what makes Organic ReSynthesis so powerful and exciting. Organic ReSynthesis is not one product. 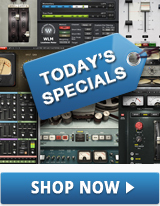 It is an innovative technology used in already-released and future Waves plugins. Torque, a tool for re-tuning and ‘tone shifting’ drums. Torque uses +/-1200 cents of formant shift to change a percussive signal's perceived pitch. Using an Organic ReSynthesis formant filter, Torque lets you manipulate the signal’s formant while maintaining the transients, timbre, duration and natural resonance of the original signal when recombined. Standard FFT-based pitch or formant tuning products are often not as effective or natural-sounding, since they rely on formant shifting and resampling, which results in artifacts. Smack Attack, a processor that controls all aspects of transient sounds. It is especially suitable for manipulating the transients of drums and percussive sounds. Smack Attack primarily uses the Organic ReSynthesis envelope feature. It uses it to strip down the amplitude envelope of a signal and then manipulate it. Other characteristics of the signal are not affected, only the envelope, so once a transient is defined and ‘isolated,’ we have real control over what to do with it. This process retains transient time resolution, since the signal itself is unaffected. Sibilance, a vocal de-esser that uses Organic ReSynthesis to identify unwanted sibilant sounds such as 's' and 'sh,' and remove or attenuate them surgically in a way that maintains the full timbre, duration and natural resonance of the original vocal sound. Thanks to Organic ReSynthesis, plugins such as Torque, Smack Attack and Sibilance can perform corrective and creative tasks that no other technology can deliver as surgically and in such an organic-sounding way. 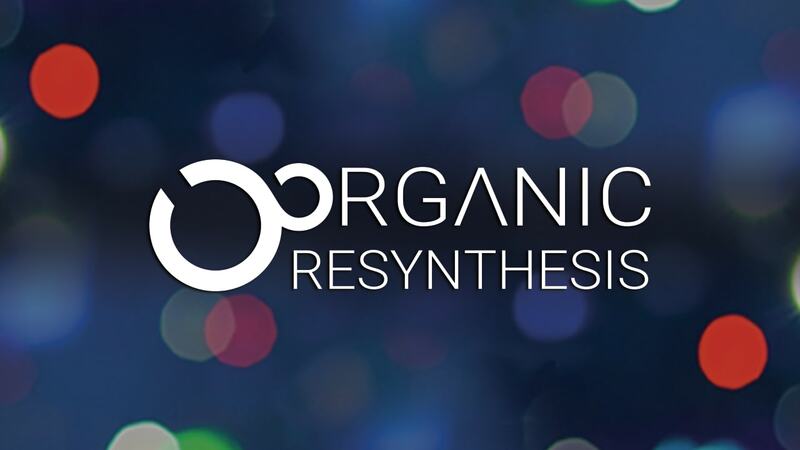 Future Waves plugins will use the full range of Organic ReSynthesis capabilities. Imagine a synthesizer that faithfully applies the precise envelope of a drum loop to a vocal track, or the precise pitch of a vocal performance to a drum track. Future Organic ReSynthesis plugins will let you take a core sound characteristic from ‘there,’ put it ‘here’, and make countless changes with little damage to the original signal. The creative possibilities are limitless.